The IBAF Executive met July 30th to discuss the past, present and future activities of the organization. 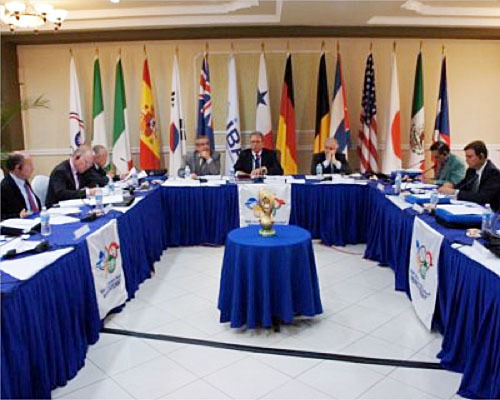 The International Baseball Federation (IBAF) held their meeting of the Executive Committee in Panama City, Panama. The city is also the location of the 2011 IBAF Baseball World Cup to be held from October 2 to 15, 2011.ã€€ Olympic Reinstatement was a key theme, with a report covering the recent success in Asia, with Softball to be included in the 2014 Asian Games as a discipline of baseball. Other important themes of discussions included: IBAF-MLB Agreement, Long-Term IBAF Global Tournaments Calendar and Appointment of the Athletes Commission, Olympic Reinstatement Commission, Umpires Commission and Women's Commission. Kazuhiro Tawa, 1st Vice President (Japan) attended the meeting in Panama.